I mean honestly, and it's getting exhausting saying this at the end of every month but where has April gone? How is it nearly May? The speed this year is going by is quite disconcerting, it'll soon be (and I hate to use the c-word) Christmas. Nevertheless life must go on, and I've got April's playlist for you. It contains a treasure trove of new stuff, which is really unusual for me as I just listen to the same stuff on repeat. Of course it's got The 1975 but also some new The Shires, Seeb and NF, as well as some throwback tunes that will evoke some great memories. See the tracklist and Spotify playlist below for more details. Be sure to follow me on Spotify to see what's included in next month's playlist before anyone else. Let me know what you've been listening to throughout April in the comments, I'd love to hear any new recommendations you have. 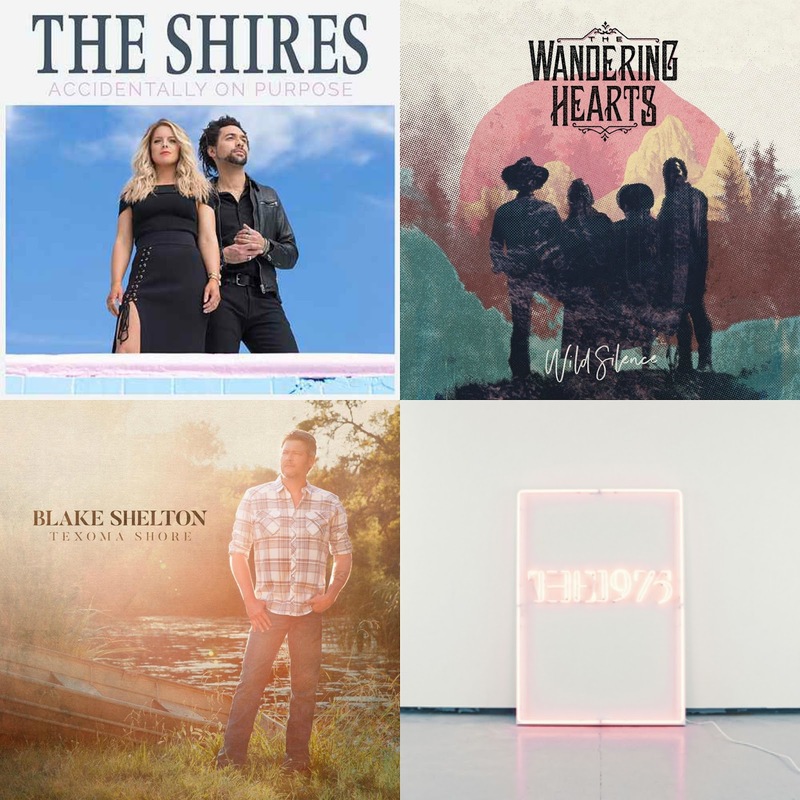 Covers copyright: The Shires courtesy of Decca Records/UMO (source), The Wandering Hearts courtesy of Decca Records (source), Blake Shelton courtesy of Ten Point Productions (source), The 1975 courtesy of Polydor Records / Samuel Burgess-Johnson (source). First of all; I am absolutely obsessed with the shires! I absolutely love them and I can’t wait to hear their new album! I have a serious love for Camilla Cabello, I haven't stopped listen to her music!